Walking or taking public transportation to your destination is a great way to cut down on your carbon footprint, but many people find those options are either inconvenient or unavailable to them. 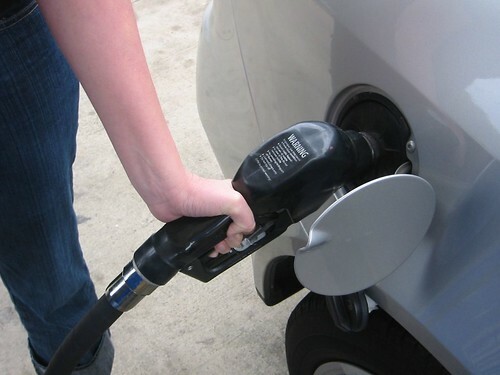 If you are in a similar predicament, there are ways to save gas (and money!) while still being environmentally conscious. The following four tips will help you go green on the road. Periodically go through your trunk and the interior of your car, removing any trash or other unnecessary items. Cars can be a convenient storage place, and it is easy to forget something after you throw it in your back seat. While you may think that keeping a water bottle or a child’s toy in your vehicle isn’t a big deal, every little thing adds up and causes your car to burn more fuel. And the more fuel you burn, the bigger your carbon footprint is going to be. Meeting your parents for dinner? Trying to get to your appointment with a pest control technician? If you know you have to be somewhere at a certain time, plan to leave 10 minutes early. Not only will you feel more relaxed as you drive, you’ll save fuel as well. When pressed for time, many people drive faster in an attempt to compensate for their tardiness. Particularly on busy roads, this leads to a pattern of braking and acceleration. Both of these actions burn a lot of fuel and could even lead to an accident. If you find it hard to get out the door, try setting all of your clocks forward by a few minutes. By making a few simple changes to your driving style, you can save quite a bit of fuel. For instance, when the stoplight turns green, gradually accelerate until you are back up to the speed limit rather than “hitting the gas.” Ride with your windows down whenever possible instead of blasting your air conditioner. And, try not to drive above 65 MPH if you can help it. When you go too fast, your car has to battle wind resistance, reducing how many miles you get to the gallon. Check your tires often to make sure the air pressure is correct, and bring your vehicle in for service regularly to ensure that the fuel system is in good condition. If there are issues with either of these two areas, your car will burn more gas than normal. In addition, you could end up with car problems if the issues persist. By keeping these simple tips in mind when you drive, you can cut back on the amount of money you spend at the pump and help the Earth at the same time. It’s a win-win situation that you literally can’t afford to ignore!